R129 Store - NEW PARTS! 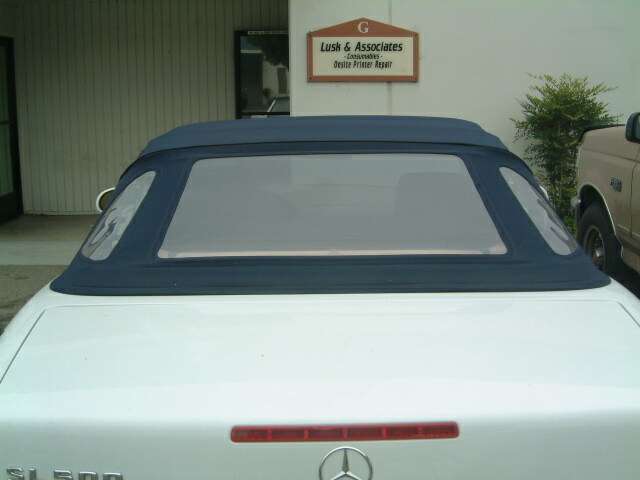 This is a complete "Do It Yourself", Plastic Rear Convertible Soft Window Replacement Kit for any Mercedes-Benz R129 or R107 SL Roadster of years 1971 to 2002. Included within this kit is everything you need to replace your windows. The proper specialized tools, supplies, windows, and the very simple to follow Step-by-Step instructions (Written in English), with pictures and videos of the proceedure. From start to finish you can do it yourself in just a few hours.This easy to install window kit is all you need to replace your cracked, scratched or browned plastic windows in your soft top. The R107 Kit: 1) DOES NOT have a video to watch (2) Will only work on OEM tops, or tops that have been made to OEM Specifications. When in doubt, ask! (3) Lastly the window Trim & Seal only comes in black at this time. You don’t have to be a professional seamstress. You don't need heavy equipment. You don't have to remove the canvas top. One Person can do it alone. The instructions show you how to preform a simple stich using our hand held machine, to sew the windows in place. These are not OEM Plastic windows. Technology has advanced tremendously since the 1990’s. This kit contains the latest high technology thread and plastic windows that are harder to scratch, more resistant to the effects of UV rays, and are rated to perform under normal conditions for up to 5 years. The tint is inside the windows so you don’t have to worry about unsightly peeling, and flaking over time. This kit will work on any 1971 to 2002 Mercedes Benz SL models R107 & R129. Choose Shipping Method "B" or "E"
Customers who bought this item also bought: R129 SL Center Console Cup Holder R129 SL Printable Hood Pad Liner R129 Hood Pad None-Printable Hood Pad Emblems Only Dual Beverage Holder R129 Hood Pad Retaining Clips Side Seat Protectors "for 2 seats"